Available on a drop-in basis. Free to play. Additional dates will be announced on an as needed basis. Adult evening basketball league is available to all residents in the Oshkosh Area School District. League play is offered on Tuesday night at the Recreation Gym. Minimum of 4 teams are needed to conduct the summer league. A maximum of 16 teams will be allowed. pdf Download the 2017 Summer Team Waiver form (233 KB) . Entry Deadline is Tuesday, May 9 at 4:00 PM in the Recreation Department Office. Registration information will also be available beginning Thursday, April 13 in the Recreation Department Office. Minimum of 8 players per team. Maximum of 12 players per team. of substitutes play in your place. Just notify the Recreation Department that you will have a substitute player. REGISTRATION: Begins April 1 (Registration packets available online and in our office). Basic swimming skills and pool safety instruction for the adult beginner. Instructor-Carrie Bores. Participants must purchase a punch card before attending a class. Cards are available for purchase at the ORD office and on- site at the class location. Cards will only be sold BEFORE class at the on-site locations. Payment by check is preferred. Cash payments must have exact change. A maximum of 30 classes may be purchased per card. The card may be used at any of the listed classes. Participants can join a class at any time. NO REFUNDS WILL BE ISSUED FOR ANY REASON, INCLUDING LOST/STOLEN WORKOUT CARDS. CARDS ARE VALID THROUGH AUGUST 31, 2019. CARDS DATED PRIOR TO SEPTEMBER 1, 2018 ARE NOT VALID. Click here for summer exercise class schedule & Free Pass for one class. Softball schedules are available on the website. The Oshkosh Softball Commission, an advisory group to the Recreation Department, meets the second Tuesday of each month at the Recreation Department Office. Individuals are encouraged to attend to discuss any problems or concerns. Rules for the 2020 season will be discussed during the August and September meetings. RAIN-OUT INFORMATION: Games may be cancelled/ relocated due to inclement weather. Cancellations are posted at www.oshkoshrecdept.com or call 920-424-4044. The YMCA Tennis Center and the Oshkosh Recreation Department have teamed up to provide Oshkosh with an excellent summer tennis program. The YMCA Tennis Center will handle all daily operations of the program including questions, scheduling, staffing, and tournaments. The Recreation Department will provide financial support, facilities and the registration process. There are activities for all abilities. All classes require a minimum of three participants. Each class meets once a week. Lessons will be made up if inclement weather occurs. Click here for summer lesson schedule and fees. Enjoy a light cardiovascular workout with flexible dance routines. No memorization required. In the event a HEAT ADVISORY is posted, Rec Gym exercise classes will be cancelled. Click here for summer exercise class schedule. Pickleball is a fun, easy game to learn. Class will cover rules, basic strategies and an opportunity to play and learn! Enjoy the new Menominee Park Pickleball facility! Class will be taught by YMCA Tennis Center staff. Jolly Jester Community Theater is a musical theater opportunity for the both adults and kids age 7 and up. 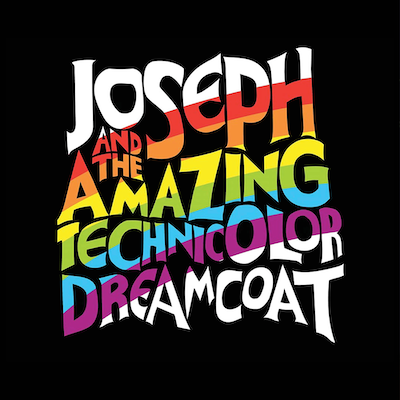 Our production will be Joseph and the Amazing Technicolor Dreamcoat. Familiar to all from the very childhood biblical story about the wise Joseph. The show begins with a narrator singing about the story of Joseph to a Sunday school class. The story is about Joseph and his 11 brothers. Jacob, his father gives him a coat. His brothers and their wives are jealous of this dreamer brother of theirs and his coat and find a way to get rid of him. The story moves to Egypt where we find Joseph is a slave and ends up in jail. Pharoah who has had dreams he can’t figure out calls for Joseph to help him interpret his dreams. Joseph has found favor with Pharoah. Meanwhile back in Canaan we find out the fate of the brothers and wives and witness a great reconciliation at the end. The story is told through 24 catchy songs that everyone will love. 2019 from 6:30 to 8:30 at South Park Middle School. Interested participants will be asked to sing a song with a karaoke track or acapella, no longer than 1 minute. Tickets for the performance will be available at dress rehearsals, at the Recreation Department Office and at the door the day of the performance. Ticket prices are $12 for adults, $10 for seniors (62 & over), $8.00 for youth ages 3-17 years. The Oshkosh Area Community Band is available to all interested post-high school adults. During the summer season, they welcome high school students who will be either a junior or a senior in the Fall to participate in their summer performances. The band is under the direction of Mr. Dave Berndt. The year round band rehearses every Monday evening from 7:00-8:30 PM in the West High School band room (ecept holidays and the month of August). The Oshkosh Area Community Band performs several times during the year. Some of the performances include: Fall Concert, Oshkosh Holiday Parade, Community Christmas Sing-a-long, Spring Concert, Veteran's Home at King, four "Concerts In the Park", and Oshkosh 4th of July Parade. This band also has two active auxiliary performance groups, a full stage/ swing band and a Dixieland band. The Choraliers are a mixed chorus made up of adults living in the Oshkosh Area who enjoy music and singing in a choral group format. They are under the direction of Mary Backus, a retired music teacher. The group rehearses weekly from January through May and presents a spring concert for the public as well as selected performances during the year. A small membership fee is required, administered by the Oshkosh Choraliers Board of Directors. Rehearsals are held on Monday evenings from 6:30-8:30PM, January to May. Rehearsals are held in the choir rooms of Oshkosh West High School and Christ Lutheran Church in Oshkosh. The 2019 concert will be held on Saturday, May 4th at the Alberta Kimball Auditorium. Click here for summer class schedule and fees. Cardiovascular conditioning and spot toning done in water. This class offers less stress on the joints and back. You do not have to swim to enjoy this class. Pool temperature and maintenance is regulated by the high school maintenance staff, not the ORD. Note: The water temperature at North High School is maintained between 79°F-82°F within state health code standards to accommodate all user groups. Please keep this in mind when attending our classes. Click here to download the summer registration form.